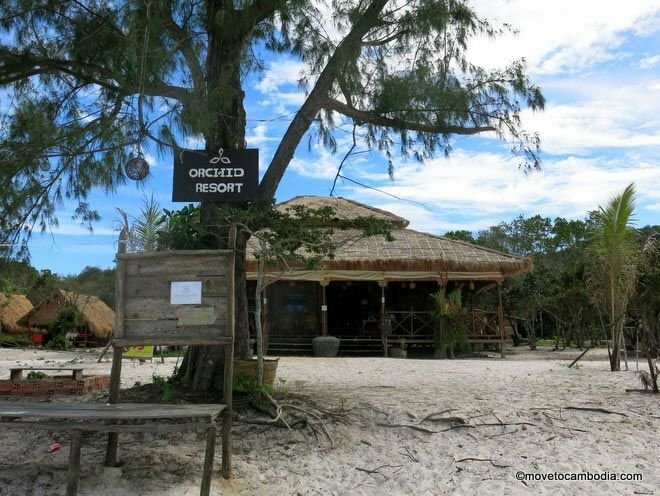 One of the larger resorts on Koh Rong Sanloem, Orchid offers good value but impersonal accommodation. Orchid Resort has 15 bungalows, some with air-conditioning, stretched out in two rows on Saracen Bay sands dotted with cashew trees. The resort, which has the most bungalows on Koh Rong Sanloem, also has six less expensive, but still quite nice, private rooms. Beachfront property: Orchid Resort, Koh Rong Sanloem. One of the better features of Orchid Resort is that it offers 24-hour electricity (not a given on Koh Rong Sanloem), which means WiFi and fans can be used all day and all night. 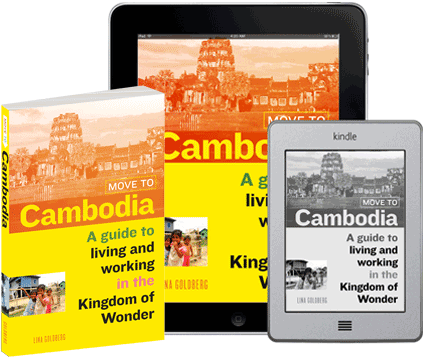 In addition, the sturdy bungalows are built from wood and have tile roofs, a vast improvement over the usual picturesque-but-impractical thatch on many less expensive bungalows in Cambodia. Bungalows have a private balcony for lounging and a sliding glass door — if you leave the curtains open you can wake up to the gorgeous sunrise that early risers in Saracen Bay are treated to. There are four beachfront bungalows with air-conditioning and hot-water showers (another feature not found in most other Koh Rong Sanloem bungalows). 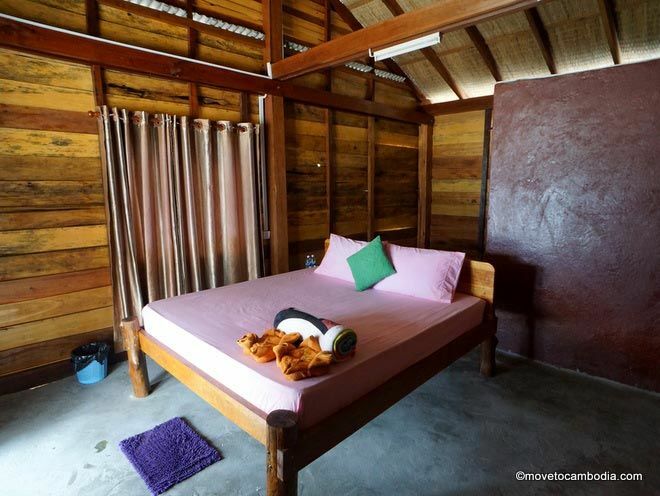 The other 11 bungalows have either double or twin beds and are fan cooled, but also offer hot-water showers. Prices for the seafront bungalows are more expensive, but most of the bungalows in the second row have a sea view. Interior of a beachfront bungalow at Orchid. Orchid Resort doesn’t seem to have a problem with guests squeezing kids into their regular bungalows, but if you’re looking for more space there’s also a fan-cooled family bungalow with one double bed and two single beds. We saw some bungalows that were older and more run down than the regular ones, but we’re not sure if these were for rent or for staff accommodation. If you’re offered a great deal, you’re probably going to end up in one of those. Bungalows have tile floors, windows with curtains, and a wardrobe for storing your clothes. These may seem like features too ridiculously obvious to mention, but they aren’t found in most bungalows in this price range. The Orchid bungalows don’t have a huge amount of character and could do with some extra tidying, but they are good value for what they are offering compared to other bungalows in Saracen Bay. And this is inside one of the Orchid Resort rooms (as opposed to bungalow). There are also six ensuite rooms that are less expensive than the bungalows, but with similar features. The one we saw had a very strange furniture configuration, but did have a double bed, ceiling fan, mosquito net, concrete floors, and large glass doors. 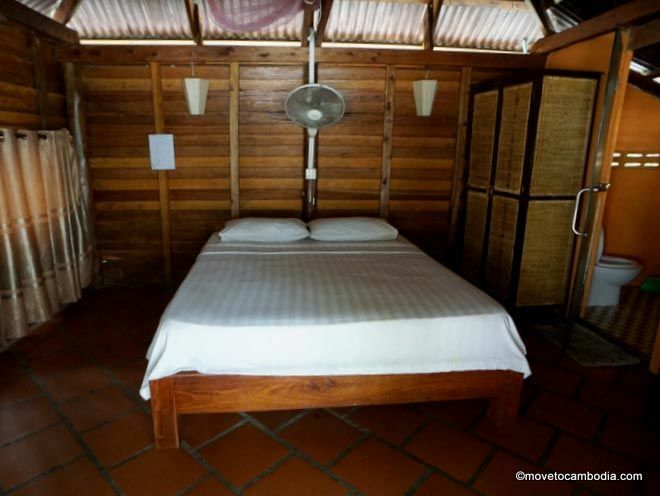 The rooms also have a sea view and are a good deal if you’re on a budget — they aren’t much different from the bungalows, aside from the fact that they share a wall with the room next door. Orchid Resort also has a large beachfront restaurant, and you’ll find daytrippers as well as guests lounging there and taking advantage of the WiFi. Overall, we found Orchid Resort a bit impersonal — there are a lot of bungalows and the staff seems pretty uninterested in customer satisfaction — but they have a great beachfront location and in high season the rates are good compared to those of their neighbors. The prices we were quoted at Orchid Resort as a walk-in guest were significantly higher than the prices found on Booking.com. 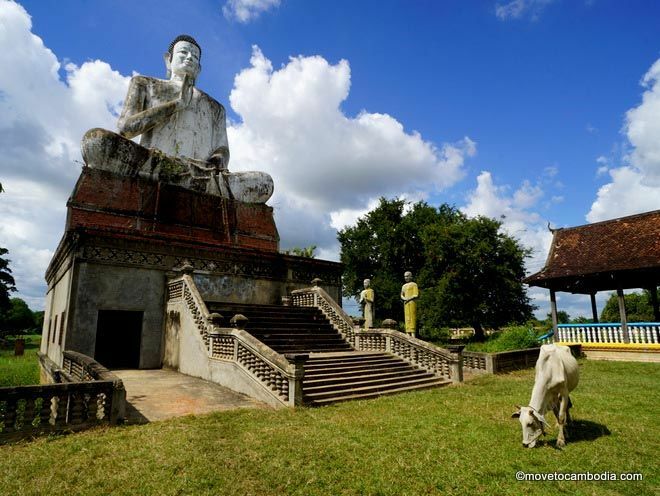 → Check prices and book a room at Orchid Resort on Booking.com or Agoda now. Looking for more? View the full Koh Rong Sanloem guide for tips on where to stay, how to get there, and things to see and do. Got a correction, suggestion, or update for one of our listings? Submit it here. We may (or may not) earn commission on sales made through some links on this page. Learn more.